Sure, you might not call yourself a fashion disaster, but there are likely (at least) 3 fashion mistakes you’re probably making today. Have you ever stood in your closet for more than a minute trying to figure out what to wear? Have you ever given up after 5 minutes of either instance above and simply put on a pair of yoga pants, t-shirt and sneakers to start your weekend? Ladies, stop giving up! Why are you expecting to start your day off in a fantastic way by dressing like you’re giving up and ready to get back in bed? Truth: You don’t like how you look when you wear what you have. Solution: First, get rid of everything you have that you don’t absolutely love. Second, start putting together outfits with what you already own. If you can’t figure out what you would wear something with, get rid of it. Finally, pledge not to purchase anything else unless you can picture the outfit you’ll make with it. Truth: You purchase clothes for the body you want (or used to have), not the one you currently live in. Solution: If something has been hanging in your closet for more than six months without being worn (or worse yet, with tags still on it! ), donate it or return it. Next time you shop, ignore the size and instead focus on the fit. You’ll be surprised at how much better you feel about yourself! Truth: You hope no-one realizes you’re wearing your yoga pants to dinner. Solution: I get it, yoga pants are comfy…and black yoga pants go with everything (at least in your mind). But the truth is, if you continue to dress in grown-up pajamas every day, you’re never going to feel your best. Save those yoga pants for, dare I say it, yoga, or when you’re working around the house; when you’re going out, whether to work or the grocery store, put on something you wouldn’t be embarrassed by if you were stopped by a TV Reporter to comment on the latest election or social injustice. So you see? It’s not that hard to make the fashion mentality shift. Want even better news? 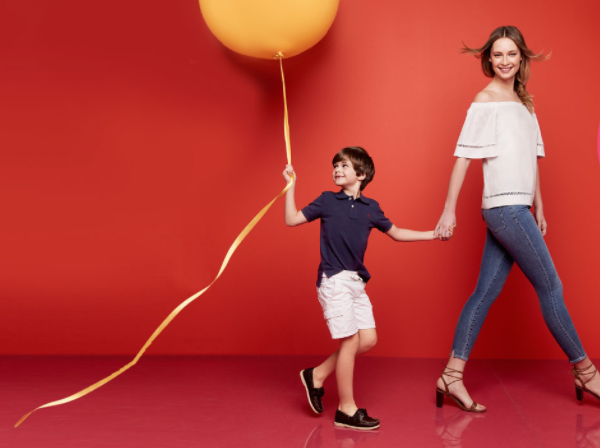 You can start shopping for your true fashion self today AND save big with the Macy’s Friends & Family Sale. For a limited time, you save 30% off most of Macys.com, including your favorite designers.